Light-emitting diodes (LED) are semiconductor bulbs that convert electricity into light. This type of lighting has become more popular over time as a result of multiple factors. The first of these is the concentrated directional output available with LED light as opposed to the lack of directional output from incandescent and fluorescent bulbs. 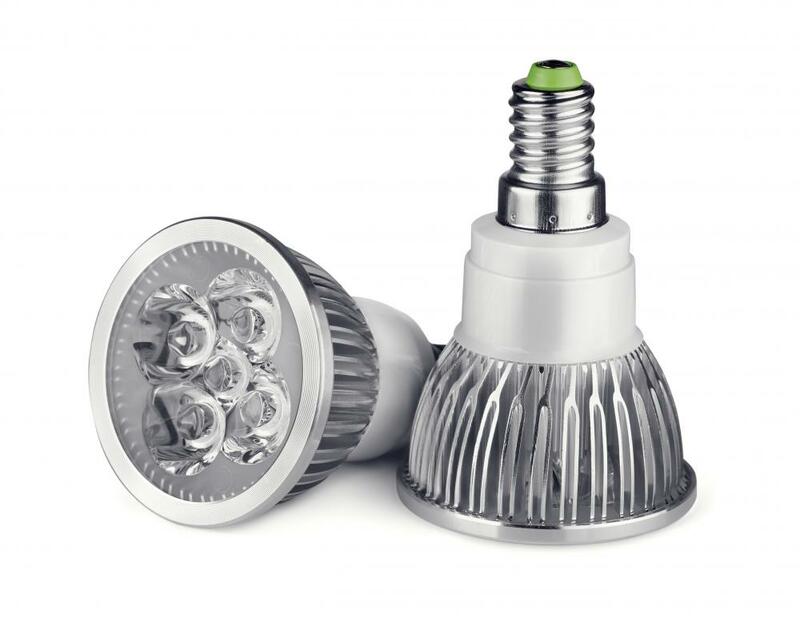 The lack of heat that is produced with LED lighting as compared to other types of bulbs also makes them popular, as does the lengthy life of the LED bulb. 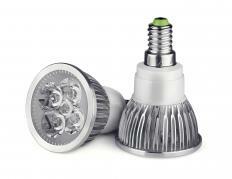 Low energy consumption and the fully dimmable capabilities of the LED bulbs are other popular features. Dimmable LED lights are often a better alternative than fluorescent lights, because they produce a large amount of light and are usually less expensive than a dimmable fluorescent light. Dimmable LED lights can range in size from dimmable LED Christmas light bulbs to dimmable recessed lights. As popularity of these LED lights grows, the number of available shapes grows along with the demand. LED lighting can be for indoor or outdoor fixtures and, in most cases, requires no more tools to install than other types of light fixtures. All home improvement and lighting stores carry LED lights with dimmable features, as do both large and small retailers. The spectrum of dimmable LED lights is growing, and they can be found in a multitude of spaces, including gardens, hallways, garages and even under-the-counter lighting. LED lights, in general, are very heat sensitive, though, so this can be a factor depending on where the light fixture needs to be placed. It is important to get outdoor-specific LED bulbs for any lighting that will be placed outdoors or in an unheated garage. Another great attribute is that dimmable LED lights do not burn out like other types of light bulbs do; their light gradually decreases as time goes by, eventually losing their useful life. This is beneficial for those main lights or hard-to-reach areas, because it gives the consumer time to prepare for the bulb change. Dimmable LED bulbs also have an advantage in that they never flicker, and they maintain the same color spectrum output as they are dimmed; LED lights do not turn yellow the way incandescent bulbs do. These types of lights are also more damage-resistant than others and can even be found in waterproof options, making them a great choice for a wide range of areas where dimmable lights are needed. What Is an LED Socket? What are LED Icicle Lights? What is an Umbrella Light? @croydon - I agree, you have to be vigilant about changing your LED bulbs if you are using them for things like reading. And everyone seems to be these days, LEDs are used for pretty much everything. They are a good option. I got some dimmable LED flood lights for my back yard and they are really nice. I tend to have them up high when someone is outside at night, or when we want to have something to come home to, and then I turn them down when we are all ready to go to sleep. I prefer this to security lights, although I have them down the sides of the house. But I found them really distracting, and not very reliable when it came to turning on and off. The dimming LED lights are a better option for me and I'd advise anyone looking to home security to think about using them. The thing about LED lights is, they do last a long time, but in a way it can be kind of annoying the way they get gradually dimmer instead of burning out, like incandescent bulbs do. Since they do this over a long period of time, and you don't really have to think about changing them all that often, it's all too easy to just not notice how dim they become. I find it really hard on my eyes. I have even started getting headaches without realizing that it was from squinting in the lower levels of light. It's just a small complaint, but you really have to keep track of when to change the bulb.